There’s a reason why we subconsciously want to root for the underdog. They defy the odds stacked against them or overcome incredible obstacles that stand in their way. Their determination and grit is infectious. The adventure of Jane Polk and her $400 off-the-track Thoroughbred, Goose, is no different. 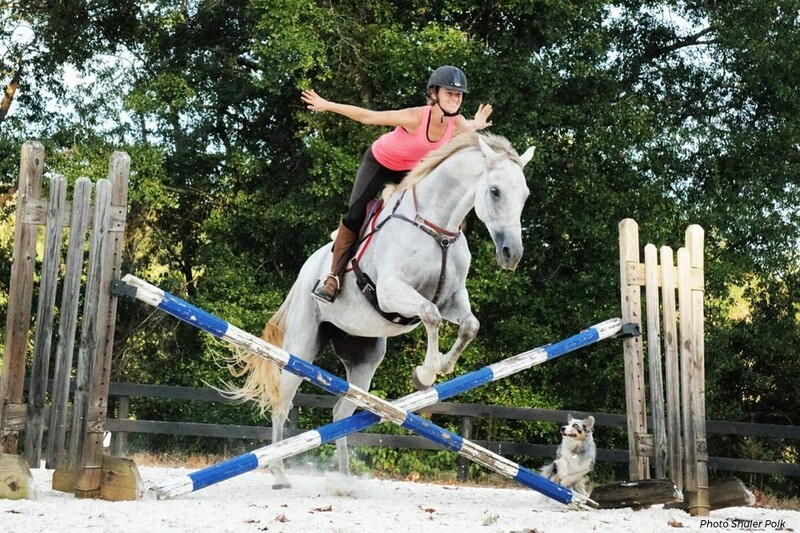 Jane, a weekend warrior amateur eventer from Greenville, S.C., and Goose, a grey gelding, have risen the ranks to Training level together with zero jump penalties. Repeat: Not a single rail. Call it a Cinderella story, but there was more patience, elbow grease and trust involved than luck. It began five years ago, when Jane, 21 years old and fresh out of college, was searching for her dream horse. She had only two requirements: he had to be a bold jumper and he had to have a rock-bottom price tag. She knew this meant she’d have to overlook a few other things, like equine mental instability, personality quirks or physical issues. Maybe all three. Goose did not make a good first impression. 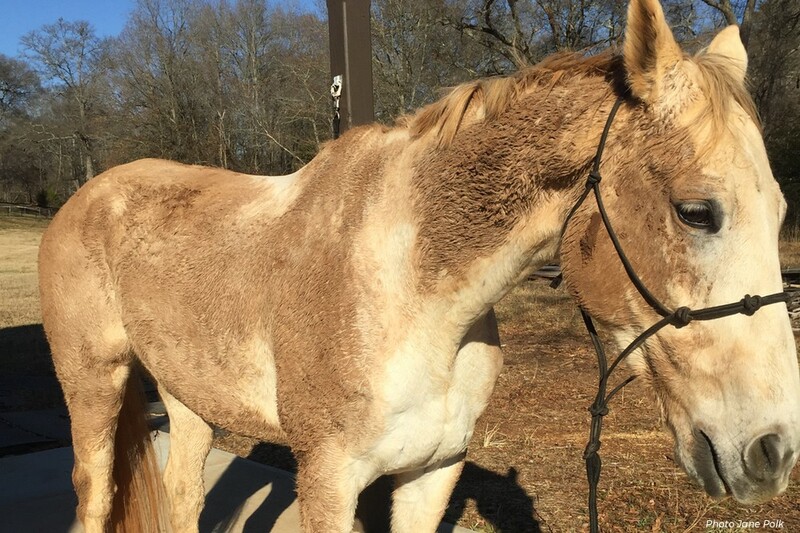 He was found through a well-connected friend in Kentucky while he was recovering from an injury sustained while out on trial at a jumper barn. Barefoot, high-headed and buddy sour, his owner wasn’t up for riding him, and Jane wasn’t about to risk her neck on a four-year-old horse she couldn’t even assess under saddle first. But the gelding was healthy, had nice feet and a balanced, uphill carriage. Photos showed his scopey form over small fences with a happy and relaxed facial expression. The dangerous wheels started turning in Jane’s head: This could work. The owner’s first priority was Goose’s welfare. Another potential buyer offered $300 to put him out to pasture. But Jane couldn’t let him go. “Ma’am, I am looking for a special horse to event and I think your gelding can be that horse,” she explained, cautious and thoughtful. “If you sell him to me, I will keep you updated with pictures. And I can give you $400.” And just like that, she was the proud owner of a horse she had never ridden, hadn’t vetted, and, as a cherry on top, he would not load onto a trailer. Jane’s first move with Goose was just to relax and let him “settle and mature,” she said. For a whole year, they simply hung out together, going on trail rides, swimming, and hacking around with a halter and lead rope. She named him after The Gray Goose, ridden by Kim Walnes, a member of the USEA Hall of Fame. It also happened to be short for “Silly Goose,” which was terribly fitting to his personality. With a heart-of-gold and staying true to his total trickster personality, Goose once expressed his displeasure at a sudden rise in the South Carolina temperature (from 30s to 60s overnight), by pulling off the liner from underneath his turnout rug, leaving it intact in the middle of the pasture with a steaming pile of manure perfectly placed on top of it. Another time, he was not quite so considerate, ripping a blanket into precisely 19 pieces. Those who work a desk job in order to support their horse passion can appreciate Jane’s dedication. Aside from working 40-hour weeks, Jane goes to the gym frequently (like, more than once a month), and manages a handful of side jobs to keep the “horse boat” financially afloat. Her husband, who is in school full-time, has taken over the housekeeping and errand running so that Jane could go full-in on pursuing her childhood dream of eventing and moving as far up the levels as possible. She found a supportive network of people who would let her board Goose in exchange for facility management and coaching, and where she’d set about building jump courses from $4 plastic barrels and $10 wooden poles from the local hardware store. Devastated, distraught, and discouraged, Jane started doubting everything. This is so expensive and time consuming. What if it’s all for nothing? As if sensing the insult to his abilities, Goose took it upon himself to jump out of his paddock, and he made sure the one questioning his talent knew about it. 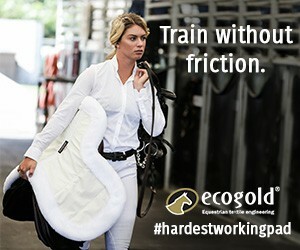 The same trainer called Jane the next morning to tell her to start putting her horse on more supplements and grain in order to get him “ready to jump at Tryon (International Equestrian Center, in North Carolina).” They had a laugh, knowing full well the impossibly perfect timing of Goose’s escape. After that, he never jumped out of his paddock again. He had made his point, loud and clear.